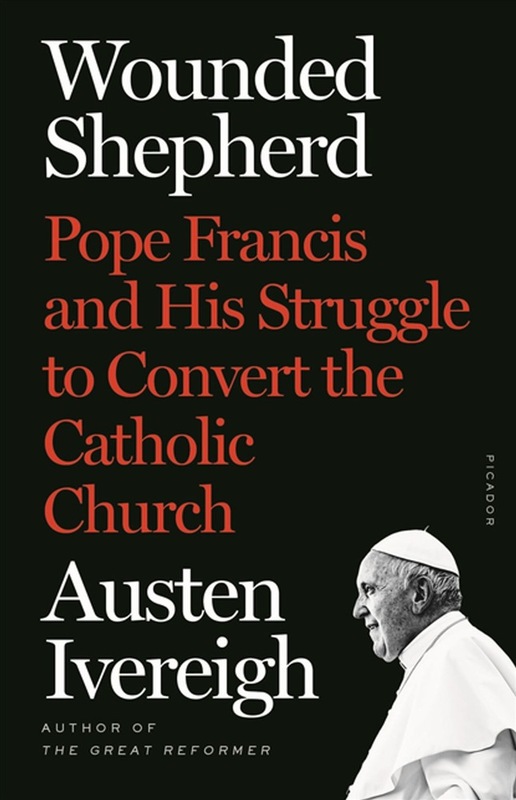 Following his critically acclaimed The Great Reformer, Austen Ivereigh's colorful, clear-eyed portrait of Pope Francis takes us inside the Vatican's urgent debate over the future of the church in Wounded Shepherd. This deeply contextual biography centers on the tensions generated by the pope’s attempt to turn the Church away from power and tradition and outwards to engage humanity with God’s mercy. Through battles with corrupt bankers and worldly cardinals, in turbulent meetings and on global trips, history’s first Latin-American pope has attempted to reshape the Church to evangelize the contemporary age. At the same time, he has stirred other leaders’ deep-seated fear that the Church is capitulating to modernity—leaders who have challenged his bid to create a more welcoming, attentive institution. Facing rebellions over his allowing sacraments for the divorced and his attempt to create a more "ecological" Catholicism, as well as a firestorm of criticism for the Church’s record on sexual abuse, Francis emerges as a leader of remarkable vision and skill with a relentless spiritual focus—a leader who is at peace in the turmoil surrounding him. With entertaining anecdotes, insider accounts, and expert analysis, Ivereigh’s journey through the key episodes of Francis’s reform in Rome and the wider Church brings into sharp focus the frustrations and fury, as well as the joys and successes, of one of the most remarkable pontificates of the contemporary age. Acquista Wounded Shepherd in Epub: dopo aver letto l’ebook Wounded Shepherd di Austen Ivereigh ti invitiamo a lasciarci una Recensione qui sotto: sarà utile agli utenti che non abbiano ancora letto questo libro e che vogliano avere delle opinioni altrui. L’opinione su di un libro è molto soggettiva e per questo leggere eventuali recensioni negative non ci dovrà frenare dall’acquisto, anzi dovrà spingerci ad acquistare il libro in fretta per poter dire la nostra ed eventualmente smentire quanto commentato da altri, contribuendo ad arricchire più possibile i commenti e dare sempre più spunti di confronto al pubblico online.